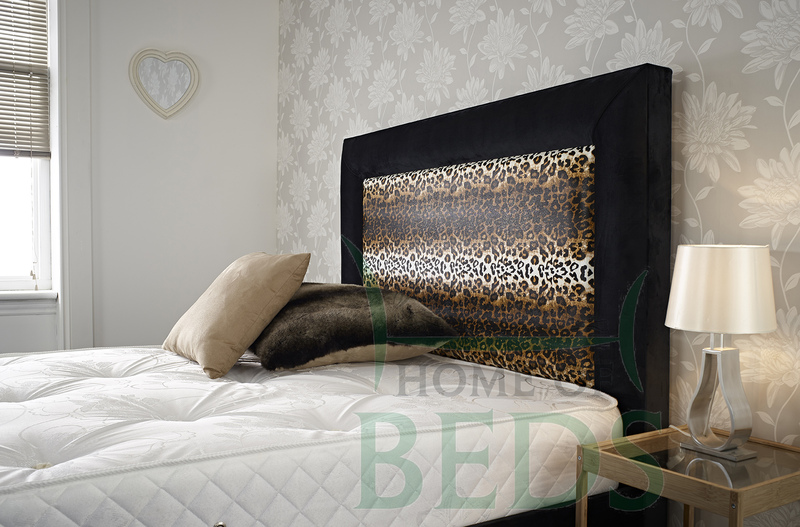 The Jaguar bed frame is a unique bed frame with a leopard print pattern on the headboard and foot board with a well proportioned black border and the same print on the side panel. 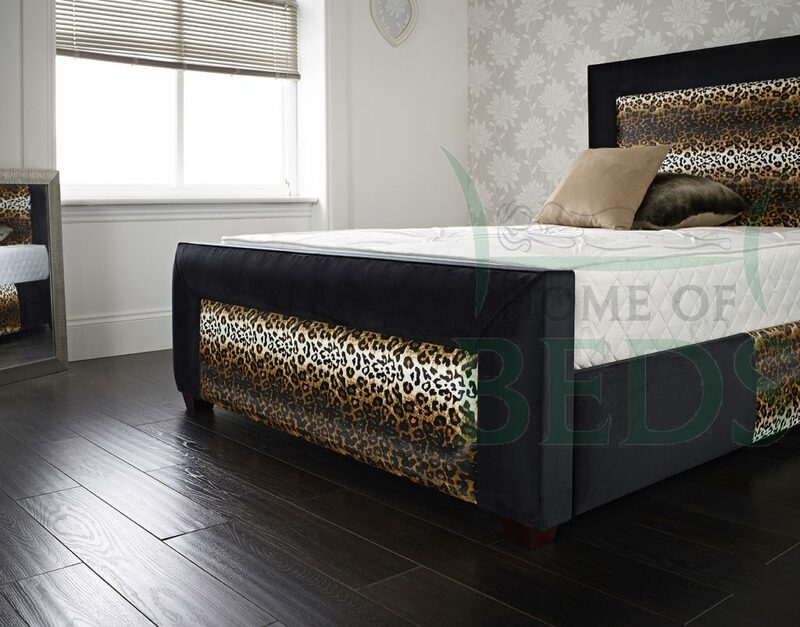 This bed frame has a low rectangular foot board and a classic chunky headboard and foot board to compliment any room style in a Jaguar Natural fabric. The frame looks great but also offers ample support with a block board base. Please note that if you love this frame but had another colour in mind, please speak to us, as this frame in made in the UK and we could have the colour you want or very close. THIS BED IS MANUFACTURED IN THE UK TO ORDER AND TAKES APPROX 2-4 WEEKS FROM ORDERING.